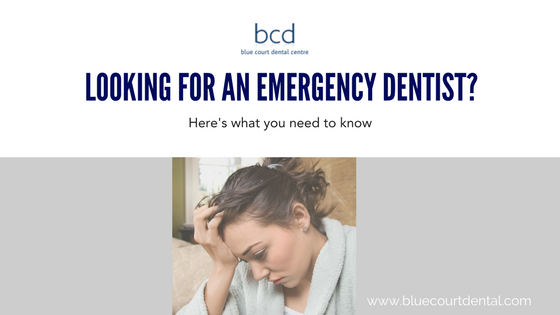 Many people suffer from sensitive teeth for a variety of reasons, this article highlights why you may suddenly develop sensitive teeth, what you can do about it at home, what treatments the dentist may be able to offer you and how to reduce the pain from tooth sensitivity. The nerve and pulp. This is the deepest living part of your tooth, it contains the nerve and has blood flowing through it to keep your tooth alive, it is protected by two out of protection layers. The dentine. This is the softer portion of your tooth, it gives the tooth it’s primary colour and its role is to support the hard yet brittle outer enamel. The enamel. This is the hardest substance in the human body and protects the outer portion of your tooth. Tooth wear caused by over brushing. Gum recession caused by over by over brushing or general ageing. Cracked teeth caused by trauma. Decay in teeth caused by poor oral hygiene. The key to understanding this is to think about how the hot or cold feeling may be getting through to the nerve. If you have had a recent trauma then perhaps the tooth is correct. If you haven’t been to the dentist for a while perhaps there is an area of tooth which is decayed. 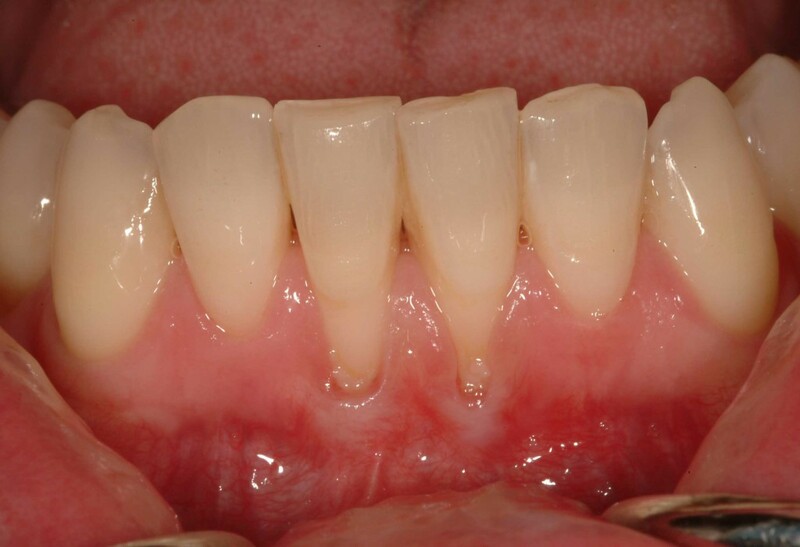 The image below shows gum tissue recession around the gum line, possibly caused by over brushing. The enamel is thin in this area which can easily lead to teeth sensitivity. 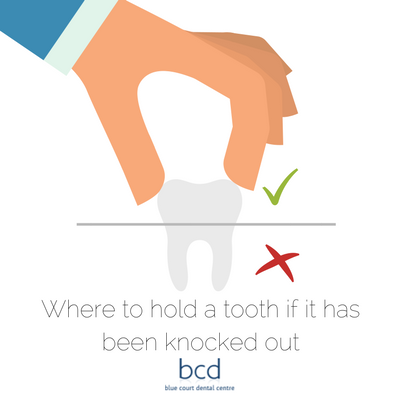 If you can’t immediately identify what the problem is then visiting a dentist or dental hygienist may be best option. If you have sensitive teeth with no obvious cause then you may find that using a protection and relief toothpaste such as Sensodyne may help. These toothpastes work because there are tiny holes, called tubules, in the dentine of your tooth. If the enamel becomes eroded away then these tubules can transmit the hot and cold through your tooth. These toothpastes work by quickly creating a barrier so that the hot and cold feeling can’t be transmitted to the nerve. However, it’s worth noting that these types of toothpastes WILL NOT work if the sensitivity is caused by excessive enamel or dentine loss such as cavities, excessive wear or cracks caused by trauma. How long does tooth sensitivity last? Tooth sensitivity is usually only instantaneous when the nerve becomes exposed to hot or cold. Remove the hot or cold and the sensitivity goes away. However, the reality is that this is not practical to do on a day by day basis, we have to eat and drink after all! Unfortunately, if your teeth are sensitive they won’t get better on their own, you will either need to use a relief and protection toothpaste or visit a dentist to ascertain why your teeth are sensitive. What does the dentist do for sensitive teeth? Fluoride treatments to strengthen tooth enamel. These fluoride gels can be applied topically at the dentist or trays can be provided for use at home. Bonding. Composite bonding materials can be used to bonded to the outer surface of the tooth to rebuild the enamel where it has been lost. This can cover up the dentin hypersensitivity. Surgical gum graft (Please see the explanation video below). If the sensitivity is caused by excessive gum resorption which exposes the more sensitive root of the tooth then a gum graft to replacing some of the gum tissue may be undertaken to cover up some of this exposed area around the gum line. Root canal. In extreme circumstances a root canal can be used to remove the nerve of the tooth. This is not normally a preferred option and will only be undertaken in extreme circumstances. One of the key things to focus on is brushing your teeth and maintaining good dental care throughout your life, ensuring you brush and floss regularly. Tooth sensitivity is a common problem, particularly in later life as the gum becomes more exposed and the teeth wear. Certainly, this is one of the best ways to prevent tooth sensitivity. If you are older then be aware about using a soft bristled toothbrush, watching to ensure you don’t consume too many acidic foods and drinks and be aware if you grind your teeth. Cold air can also affect sensitivity, so you may find you need to wear a scarf in cold weather. This entry was posted in Dentistry, Oral Hygiene and tagged Composite bonding, gingivitis, gum disease, oral health, prevention on 27 September 2018 by Dr Nishan Dixit. A ccording to a new survey women change their toothbrush twice as often as men. The survey showed that, on average, women change their toothbrush every 92 days whilst men change theirs every 185 days. According to the survey electric toothbrushes are used by 57% of women and 32% of men. Another interesting fact was that women spend on average £42 per year on the dental healthcare, whilst men spend only £24 a year on the same dental healthcare including brushes, toothpaste and other products such as mouthwash. The survey also revealed that 7/10 men (72%) have used their female partners toothbrush whilst only 26% of women admitted to using their male partner’s brush. At Blue Court Dental Centre in Harrow we have similar experience of women taking more care of their dental health than men. If you don’t look after your toothbrush then the bristles can become bent and frayed, this means they are not able to clean in between your teeth in those difficult to reach areas where the acid excreting bacteria lurk. The spaces in between your teeth are particularly vulnerable to dental decay and if these areas are not kept clean on a daily basis your oral health care can suffer. We have also written in other blog posts about the further implications of not looking after your teeth and gums. Dental disease has been linked to other conditions such as diabetes and heart problems. 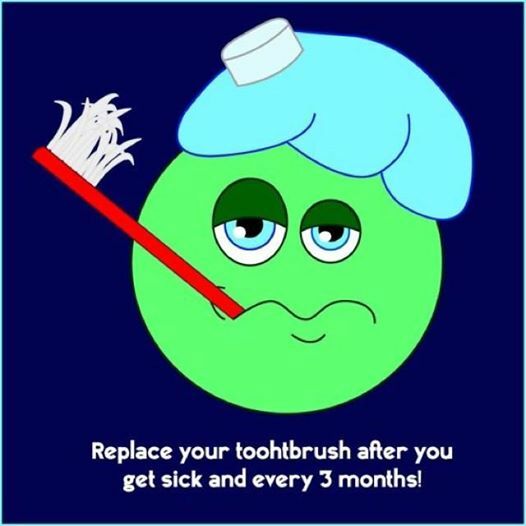 Using an electric toothbrush makes it far easier to ensure that your teeth are adequately cleaned and rinsing in between cleaning your teeth, particularly after meals with a good quality fluoride mouthwash is another step you can take to ensure your teeth stay dentally fit and healthy for life. If you are at all concerned about you or your partner’s oral health then please do give us a call or request an appointment online. This entry was posted in Dentistry, Dentistry in the News, Did You Know, Fun Facts, Share This Post and tagged flossing, gum disease, oral health, tooth decay on 1 July 2016 by Dr Nishan Dixit. Last week on 30 August we posted the first of our two-part article about the prevention of gum disease, we talked about the risks of gingivitis and periodontitis and explained some of the symptoms of both of these conditions. In this second blog post we talk in more detail about the treatment of both gingivitis and periodontitis. Read the first blog post by clicking here. The best way to treat all gum disease is to practise good oral hygiene, lower your stress levels and improve diet. Visit your dentist or hygienist for treatment. Your dentist or hygienist may recommend using an antiseptic mouthwash that contains chlorhexidine. On their own, antibiotics are not effective at treating periodontitis, and they may only be recommended in severe cases of gum disease. Metronidazole and Amoxicillin are the most common antibiotics prescribed. Your dentist will advise you accordingly if required. The following dental treatments may be recommended to treat gum disease and periodontitis. To remove plaque and tartar (hardened plaque) that can build up on your teeth. This is a “professional clean” carried out by your dentist or hygienist. In some cases of gum disease or periodontitis, root surface debridement may be required. This will involve several visits. It is a ‘deep clean’ under the gums removing the plaque and tartar deposits and bacteria from the roots of your teeth and the pockets. Before having the treatment, you may need to have an anaesthetic to numb the area. You may experience some sensitivity after the procedure. If you have severe gum disease or advanced periodontitis, you may need further treatment which requires a referral to a periodontist (gum specialist) who can carry out advanced treatments such as periodontal surgery. However in some cases, it may be necessary to remove the infected tooth. It is important to visit your dentist and hygienist at least every six months so any problems with teeth and gums can be detected and treated early. This entry was posted in Oral Hygiene, Share This Post and tagged gingivitis, gum disease, periodontitis, treatment on 6 September 2013 by Dr Nishan Dixit. By failing to look after your gums you increase the risk of the gums becoming inflamed and turning into gingivitis. If this is left untreated it can progress into the more serious condition periodontitis which can ultimately lead to tooth loss. Not only is this unattractive but it can be costly to replace missing teeth, and so we recommend that you do everything you can to look after your teeth and gums. In this series of two blog posts we will look at gingivitis and periodontitis, what causes these conditions, how you can spot them and then in the second blog post we will look at the treatments on offer. Gingivitis is inflammation of the gums. Gingivitis is due to the long term effects of plaque deposits on your teeth. Plaque is a sticky material made of bacteria, mucus and food debris that develops on the exposed parts of the teeth. If you do not remove plaque, it turns into a hard deposit called tartar (or calculus) that becomes trapped at the base of the tooth. Plaque and tartar irritate and inflame the gums. Bacteria and the toxins they produce cause the gums to become infected, swollen and tender. You may notice bleeding on brushing or a bad taste in the mouth. Periodontitis occurs when inflammation or infection of the gums (gingivitis) is untreated or treatment delayed. Infection and inflammation spreads from the gums to the ligaments and bone that support the teeth. Loss of support causes the teeth to become loose and eventually fall out. Periodontitis is the primary cause of tooth loss in adults. Plaque and tartar build up at the base of the teeth. Inflammation causes a pocket to develop between the gums and the teeth, which fills with plaque and tartar. Soft tissue swelling traps the plaque in the pocket. Continued inflammation leads to damage of the tissues and bone surrounding the tooth. Because plaque contains bacteria, infection is likely and a tooth abscess may develop, which increases the rate of bone destruction and may lead to eventual tooth loss. Researchers have found that people with gum disease are almost twice as likely to suffer from coronary heart disease. This type of heart disease occurs when plaque (deposits of fat, cholesterol, calcium and other material) form in the walls of the coronary arteries causing the walls to become thicker. This limits the amount of oxygen and nutrients that are necessary for proper heart function. Bacteria from gum disease enters the bloodstream and connects to the plaque in the coronary arteries, possibly contributing to the formation of blood clots. Watch out for the second post in this series which talks about the treatments for both gingivitis and periodontitis, this will be posted on this blog on Friday, 6th September. This entry was posted in Oral Hygiene, Share This Post and tagged gingivitis, gum disease, periodontitis on 23 August 2013 by Dr Nishan Dixit. Do you brush ‘Gangnam Style’? Could brushing your teeth to the beat of ‘Gangnam Style’ really have oral health care advantages? We’re always on the lookout for new and inventive ways to help you keep your oral hygiene up to the high level you’d like. We’ve seen egg timers with a ‘Tooth Brush’ countdown on them and most modern electric tooth brushes also include some form of indicator as to how well/long you are brushing – but now we bring you the ‘Gangnam Style’ technique! Reported in the Daily Mail last week is a new equation, worked out by Ivor Novello nominee Jim Williams. He indicates that songs that have eight bars of music, followed by another two sets of four bars can encourage brushing. They must also include a double chorus and middle ‘bridging’ section, known as a double eight. Using a song to help keep time is a great idea we think – it helps to keep the correct pace and will encourage kids to have some fun whilst brushing helping them maintain a good health care routine. Blue Court Dental Care is a dentist in Harrow offering oral health care advice and treatments to the local people. Please do call us or pop in if you have any dental health concerns. This entry was posted in Funny Videos, Oral Hygiene, Share This Post and tagged brushing, flossing, gum disease, healthcare, oral health, oral health care on 25 February 2013 by Dr Nishan Dixit. What do Gum Disease and Whoopi Goldberg have in common? Gum disease can progress painlessly on the whole which means you might not notice the damage it is causing to your gums and bone. However, active bacteria can make your gums quite sore which can lead to gum abscesses. If Gum Disease is not treated over a number of years, the bone supporting the teeth can be lost. If the disease is left untreated for a long time, treatment can become more difficult. To help you keep your body, teeth and gums healthy I’ve also written a free guide on the subject – you can download your free copy here. This entry was posted in Oral Hygiene, Practice News and tagged gum disease, oral health on 9 January 2012 by Dr Nishan Dixit.